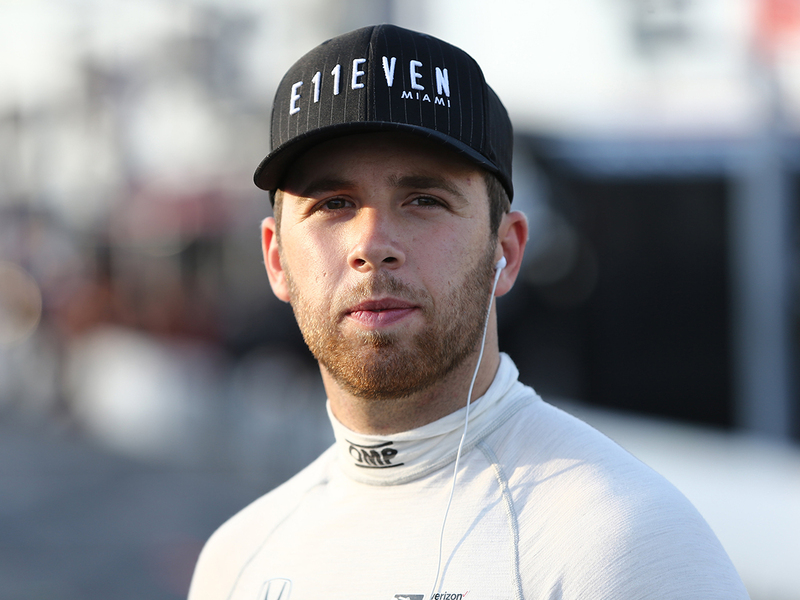 Dubai: UAE-born Indy Car driver Ed Jones wants to build a team around himself at Ed Carpenter Racing next season after playing second fiddle to Chip Ganassi teammate Scott Dixon this year. Dixon, 38, won his fifth driver’s championship and Ganassi their eighth team title in the American series, while Jones, 23 — who competes under the UAE flag and started off karting in Jebel Ali — finished 13th with two podiums at Long Beach and Detroit. I want to prove people wrong because I know what I can do and if I had another season or two against Scott I could have beaten him. It was a frustrating follow-up to the Englishman’s Rookie of the Year-winning season at Dale Coyne Racing, where he finished 14th with one podium in the Indy 500 last year. That earned him his big move to Ganassi, but they have now opted for Felix Rosenqvist to partner Dixon next season, leaving Jones to join Carpenter. “It’s always hard to come into a team like Ganassi where your teammate has been there 20 years as the No. 1 driver and built the whole team around himself,” said Jones, who got eight top 10 finishes and four DNFs from 17 races this year. “What they were doing with my car was to try and enhance Scott’s programme, but set-ups are personal and everything was to Scott’s preference. They didn’t let me do what I preferred, which would have enabled me to attack more. Moving to Carpenter will now put the emphasis back on him in the 2019 season, which starts in March. Jones added that, although a smaller team, Carpenter’s record at the Indy 500 speedway with two podiums there in three years, also gave him hope. “Only three years ago Josef Newgarden, who won the championship last year, was driving for Carpenter and winning races, so there’s strong potential. “When choosing a team you also look at how good their car is at speedway because at the end of the day that [the Indy 500] is the race everyone wants to win. “If I could get four podiums and a win at least [next season] that would be amazing. I want to prove people wrong because I know what I can do and if I had another season or two against Scott I could have beaten him. “He’s a great champion and the best of all time, but for sure he’s beatable and that’s what frustrates me the most about not getting another chance. “At a few races I had an identical set-up, passed him, drove away from him and just completely outraced him. Should he prove his critics wrong next season, he’s also not ruling out a switch to Formula One. “It’s been a tough year and I’m more motivated than ever to go out and win races and improve, but at the same time when I was racing in Europe I wanted to go to America and when you’ve been in America a few years you want to go back to Europe. “I’d love to do both and once you start winning races things could change pretty quickly. Everyone I was competing with in Europe is now in F1 and I miss those guys, whereas I don’t really hang out with Indy Car drivers.